Added on November 14, 2018 by Erin White. 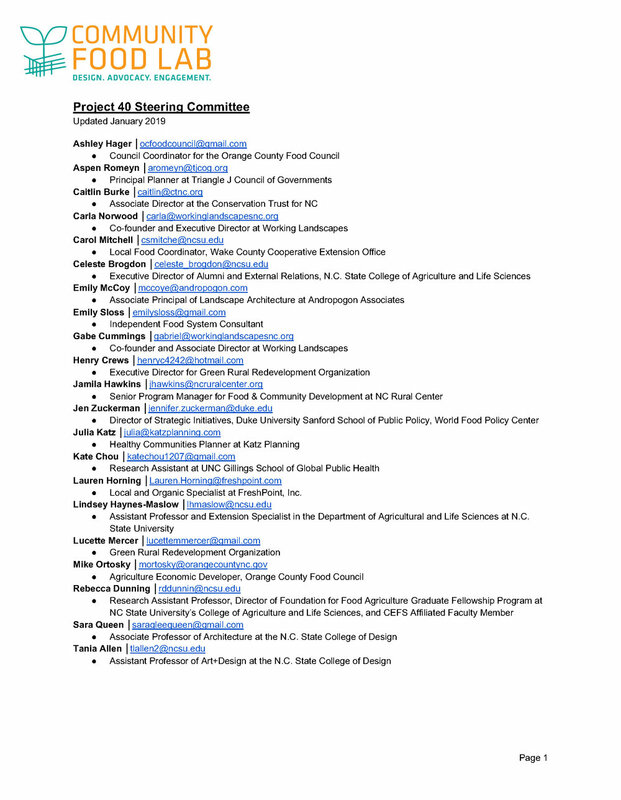 Community Food Lab is convening food system thinkers, designers, and students to ask big questions about the future of food in NC and build pragmatic, strategic directions around food systems and regional economic development. The people of the Triangle spend billions of dollars on food every year, but there are no effective ways to channel that massive spending to NC’s rural areas and small towns - areas in dire need of economic opportunity. 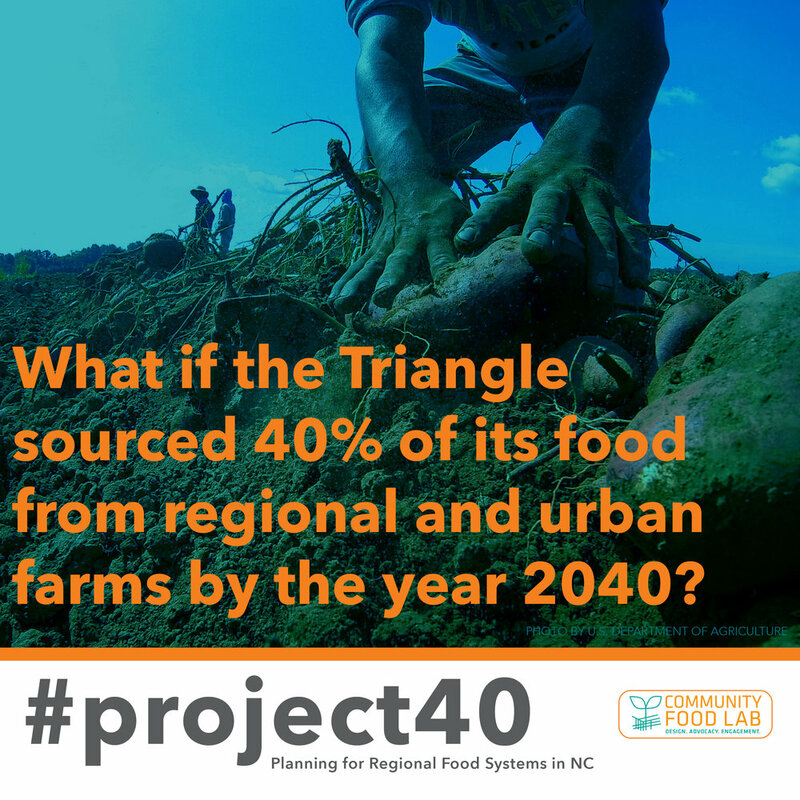 Project 40 is an emerging vision to change that, by radically shifting how the Triangle sources its food and spends its food dollars. What if local and regional governments, research institutions, private equity, healthcare systems, and non-profit funders joined behind our farmers and food businesses to make a radical shift towards resilience, economic growth, and equitable opportunity across our rural - urban spectrum? This is the 40 x 40 core idea. 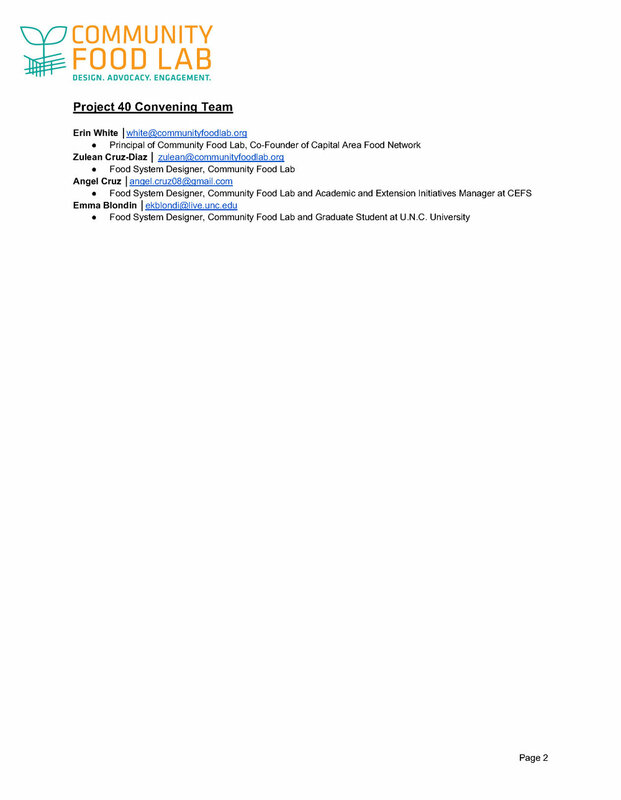 By taking a design and planning approach for new coalitions and new strategies, Community Food Lab and partners are opening a new regional conversation about the future of food. The land is there, the market is there, and the need is there. 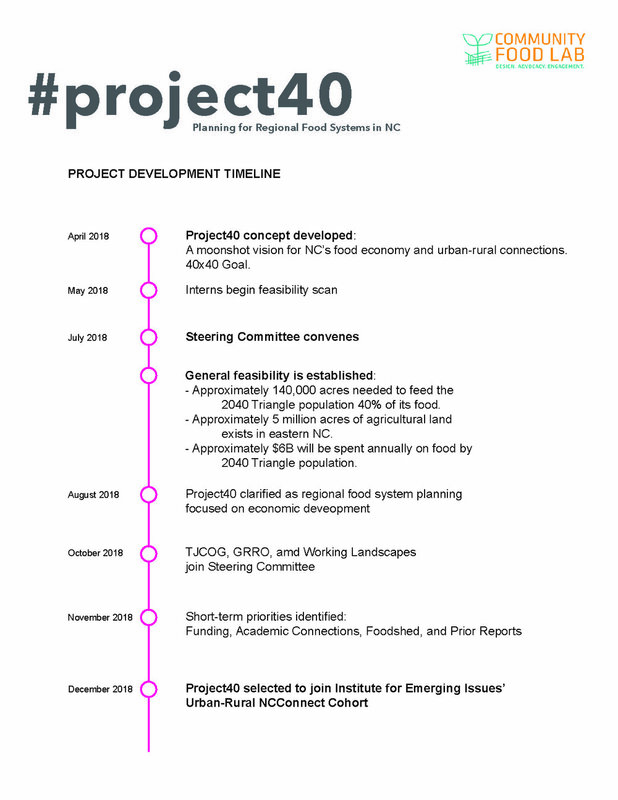 Project 40 provides a visionary spark to connect the dots and pull together our world-class food thinkers, food business leaders, and agricultural resources around a common goal, where food brings opportunity to an entire region. We will be pushing out ideas and next steps through the end of 2018 - stay connected through #project40 and by joining our project mailing list, below.